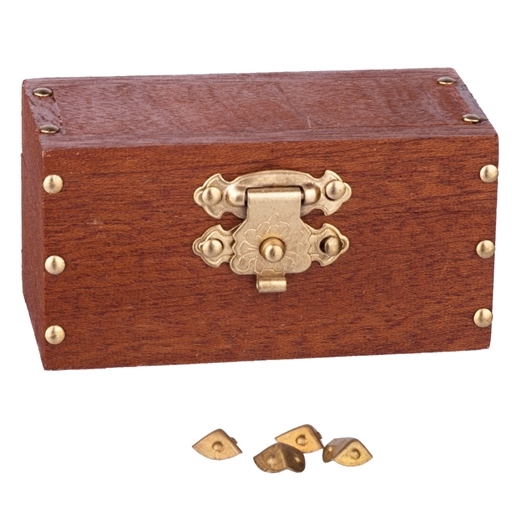 This small lightly stained wooden chest with brass hardware and nailhead detailing opens. 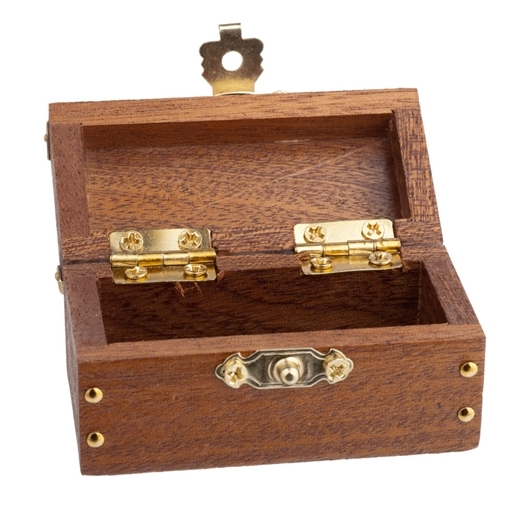 Chest includes optional metal corner brackets to apply, if desired. on 5/21/2014 Adorable! And a Perfect Size!! Excellent item... nice finish and realistic hardware... aperfect little chest to place at the foot of a twin bed in a child's room. I ordered three so far!